Tom and James carried out this great installation to a clients converted barn in Dartford, Kent. 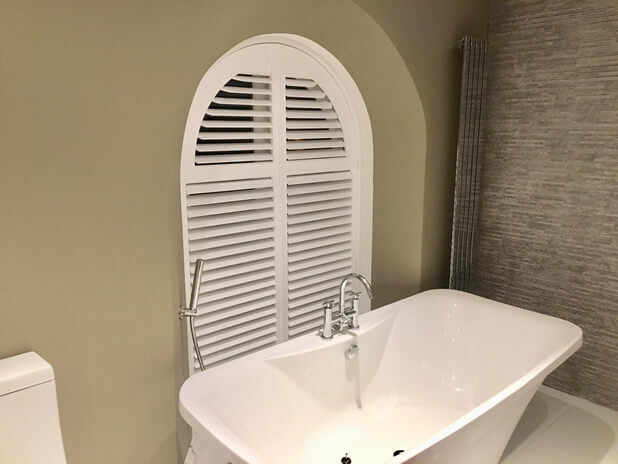 The client was to have the whole house kitted out with some of our plantation shutters, with the windows of each room being carefully measured and designed around. 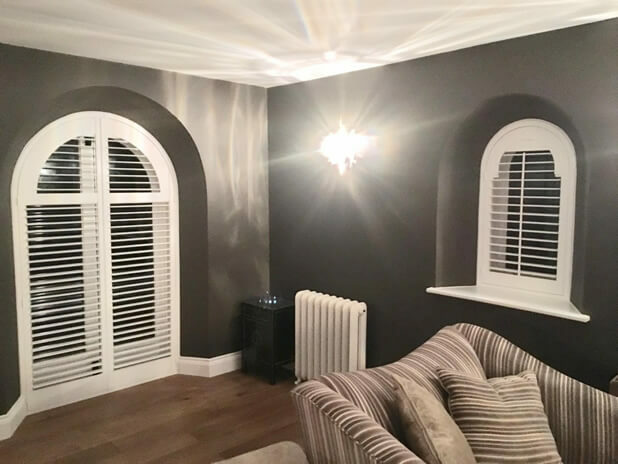 All windows in the property had curved tops, but required different sizing and types of shutters, which would all tie in and match in finish throughout the home from inside and out. 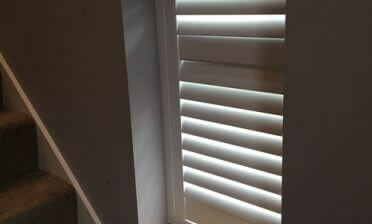 Our shutters are the ultimate solution for different shaped windows, as traditional dressings such as blinds and curtains just don’t work within the shapes and recesses. 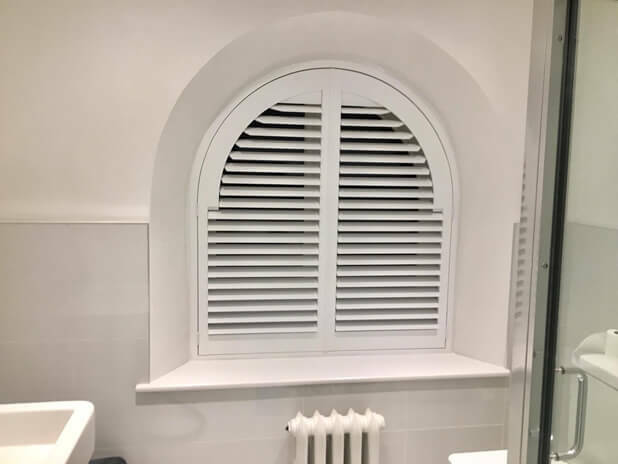 Our shutters are custom built to match the exact shaping of your recesses, made to measure with a perfect fitment each and every time. Our skilled installers can also make minor adjustments when fitting to make sure that there are no unsightly gapes or light leakages. These shutters were crafted using Sumatra Teak Hardwood which is a great premium quality material in our range. 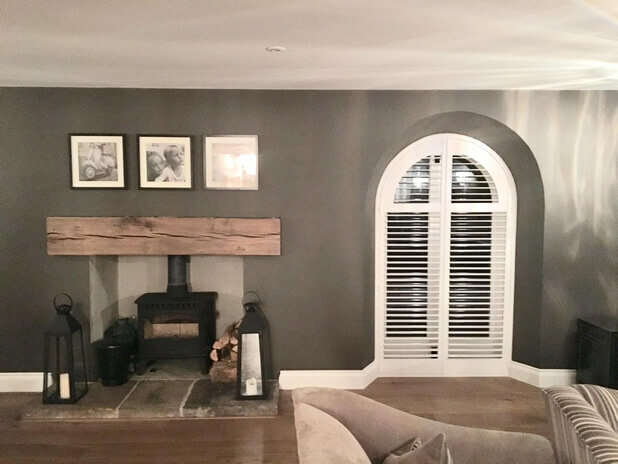 These long lasting, impressive shutters will stand the test of time and have created the ultimate look to go with the conversion. 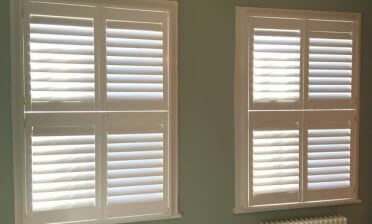 They were finished with 64mm louvres, hidden tilt rods and a pure white paint with matching hinges.